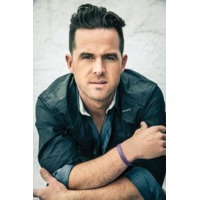 David Brent Nail (born May 18, 1979 in Kennett, Missouri) is an American country music artist. In 2002, he debuted the single "Memphis," a cut from an unreleased album for Mercury Records Nashville. Five years later, he signed to MCA Nashville (which, like Mercury, is under the ownership of Universal Music Group Nashville), and released the album I'm About to Come Alive in August 2009. This album has accounted for three more singles: the title track, as well as "Red Light" and "Turning Home," the latter two of which have reached Top 20.